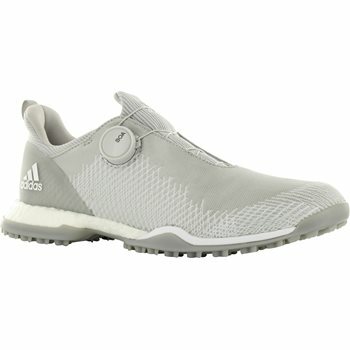 The Adidas ForgeFiber BOA spikeless golf shoe can be worn on or off the golf course. 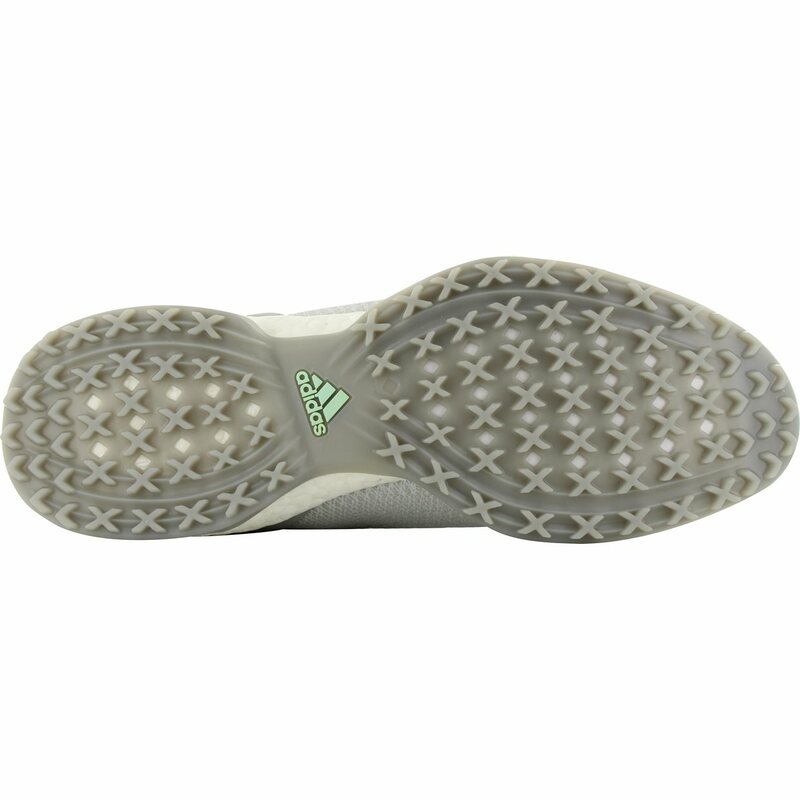 It features an Adiwear outsole with strategically placed X-shaped lugs for excellent traction where it’s needed. The golf shoe offers support and comfort with a responsive Boost midsole that provides energy return on every hole. 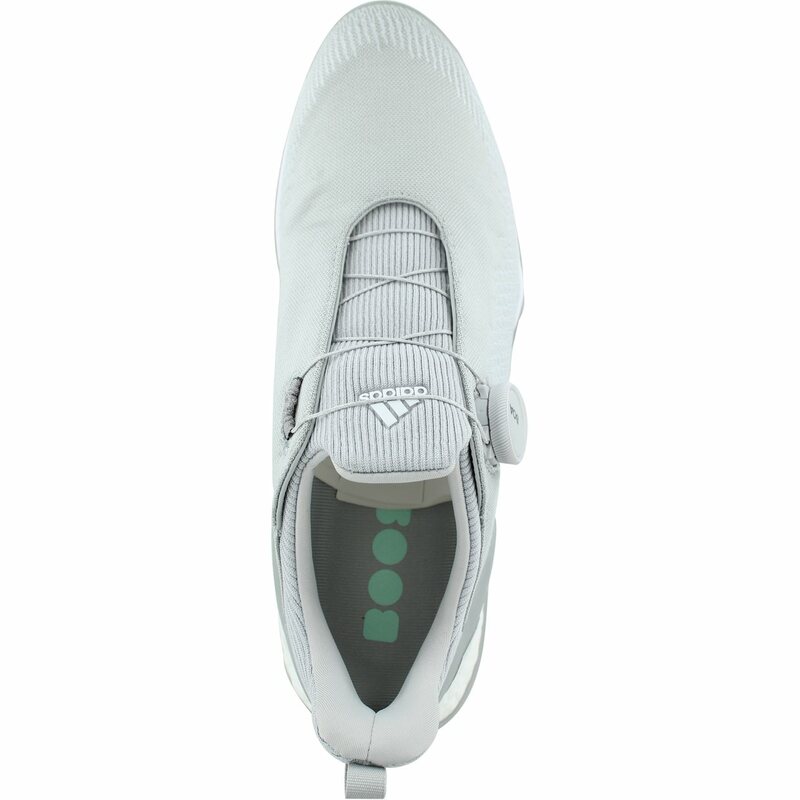 The ForgeFiber construction uses TPU coated yarn that provides a stronger, more flexible fabric when in motion. The fabric is treated with Climastorm technology for water repellence during rain. A 1 year waterproof warranty is included. In addition, the ForgeFiber BOA is equipped with the L6 BOA Closure System. Simply twist the dial for easy customizable micro-adjustability.